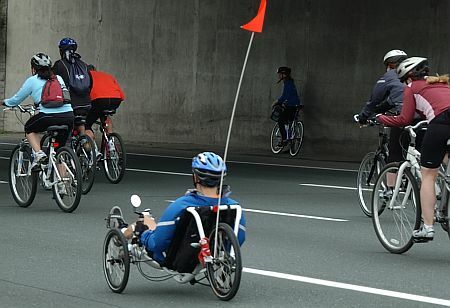 Fortress Of Freedom Board :: View topic - Bicyclists Take To The Freeway! 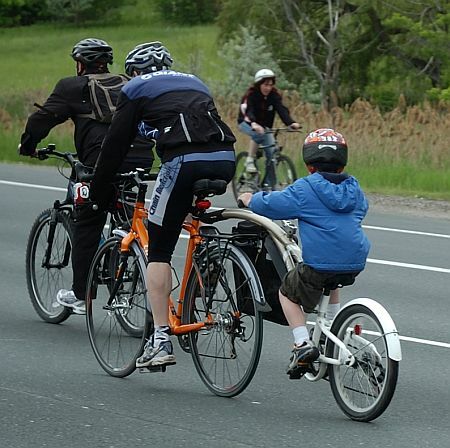 Bicyclists Take To The Freeway! Posted: Sun Jun 01, 2008 8:21 pm Post subject: Bicyclists Take To The Freeway! 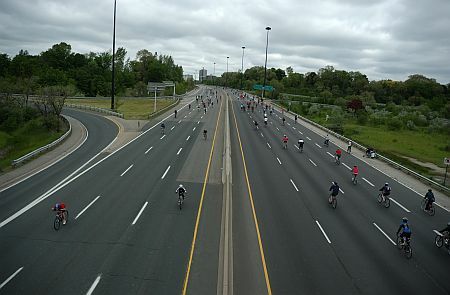 Cyclists took to the Don Valley Parkway (a major freeway in Toronto, Ontario) on this June 1, 2008! 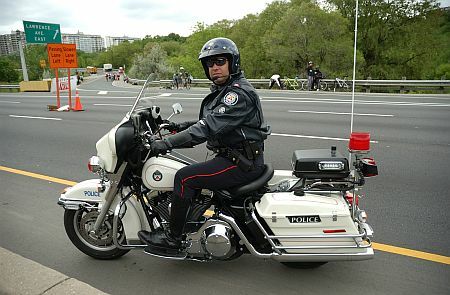 The event was called the "Becel Ride For Heart", a ride to support and gain donations for heart and stroke research. The major organizers, Becel (a margarine manufacturer) and the "Heart and Stroke Foundation" , put the ride on every year and this was the 21st ride. 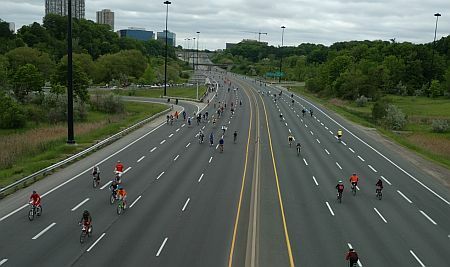 Much of the Don valley Park way and the Gardiner Expressway that connects to the Don Valley at the south most end, were the routs for this year's event. 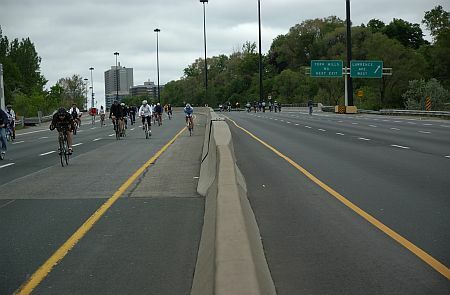 The Ride also held three races of varying distances, the longest being 75km. Cyclists of all forms came to the event. At one point a policeman on a motorcycle came up and as usual to be careful photographing the cyclist on the freeway. He then talked to some of the kids with us and then drove on north to the end of the freeway. 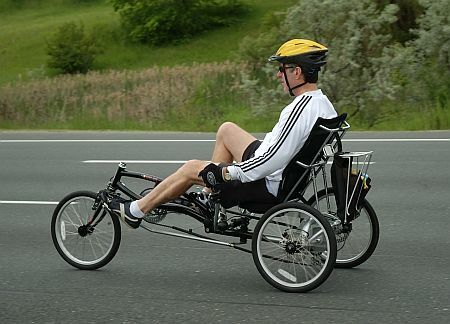 An interesting assortment fo bicycles, from off-road to racing and tandem to what they call recumbent bicycles where the cyclist almost is in a reclining position as they pedal. 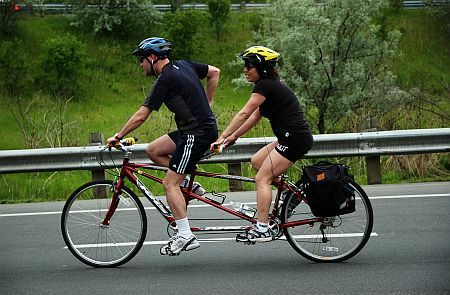 There were many recumbents at the event. There were pit stops along the way with bananas and apples and oranges and water for the cyclists. an occasional bus did move up and down the freeway supposedly to pickup anyone in distress. And so ends another Becel ride for life. Good health and efficient transportation in these days of record prices at the gas pumps!